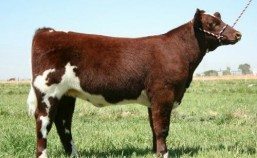 Products: We raise registered Shorthorn cattle to provide purebred females and bulls for livestock producers; and we also raise cross-bred females to produce club calves for junior beef exhibitors. 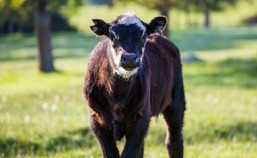 Custom feeding of our ranch raised cattle is available, with customers purchasing a whole or 1/2 steer to be processed to their specifications. We can help with the ranch harvesting and transport to the processor of your choice. USDA Inspected beef is available by the package or in larger quantities as available. Products: Angus, Shorthorns, Maines, X-breds; bulls, heifers, and club calves.